The local past becomes the global future .. The ultimate organization that protects the historical and cultural sites and monuments is UNESCO. There are currently 17 UNESCO World Heritage Sites in Greece and each of them represents a different era. The ancient city of Aigai was the first capital of the Kingdom of Macedon. In addition to the monumental palace, lavishly decorated with mosaics and painted stuccoes, the site contains a burial ground with more than 300 tumuli, one of which has been identified as that of Philip II of Macedon, father of Alexander the Great. Founded in 315 B.C., the provincial capital and sea port of Thessalonika was one of the first bases for the spread of Christianity. Among its Christian monuments are fine churches, some built on the Greek cross plan and others on the three-nave basilica plan. Constructed over a long period, from the 4th to the 15th century, they constitute a diachronic typological series, which had considerable influence in the Byzantine Empire. 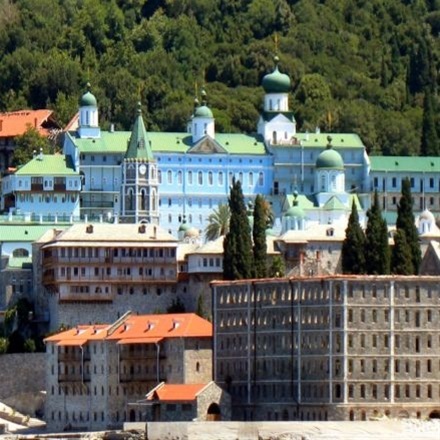 An Orthodox spiritual centre since 1054, Mount Athos has enjoyed an autonomous statute since Byzantine times. The 'Holy Mountain', which is forbidden to women and children, is also a recognized artistic site. The layout of the monasteries (about 20 of which are presently inhabited by some 1,400 monks) had an influence as far a field as Russia, and its school of painting influenced the history of Orthodox art. The UNESCO monuments of Northern Greece can be visited within an interesting cultural journey, signed by the quality services of Doucas Tours and Travel.